BOSTON — The 2019 Boston Marathon’s men’s race was won by just two seconds by Lewrence Cherono in 2:07:57. In the women’s elite race, Worknesh Degefa won with a time of 2:23:31. 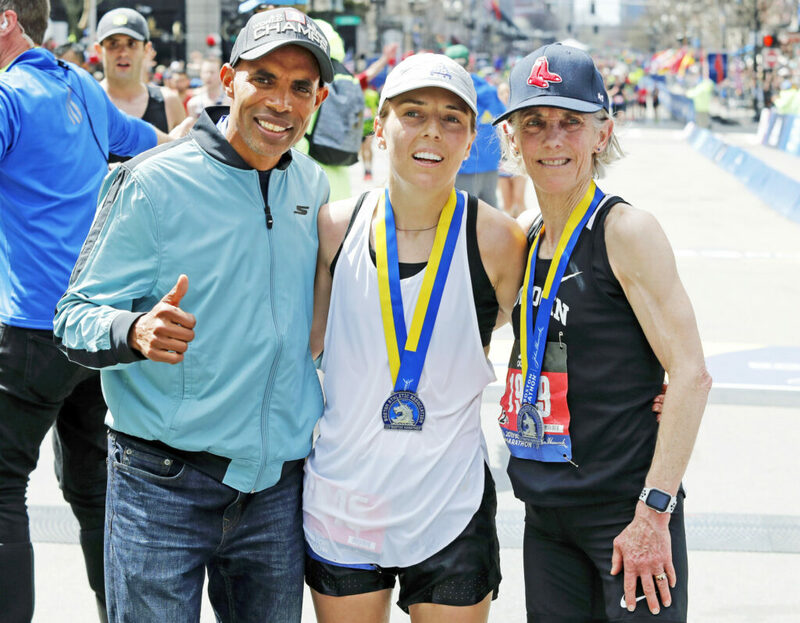 Joan Benoit Samuelson of Freeport, who won the gold medal in women’s marathon at the 1984 Olympics and won the Boston Marathon in 1979 and 1983, returned to the race Monday and finished the race in 3:04.00. In the Sun Journal’s tri-county coverage area, Kyle Simmons of Lewiston was the fastest finisher through the 26.2 miles with a time of 2:50:22. Simmons finished in 1,112th place. The fastest woman runner in the Sun Journal region was Gray’s Heather Cable, whose time of 2:29:44 was good enough for 9,160th place. Cable was followed by Stacy Adams of Sabattus, who finished in 11,015th place (3:36:49). Other regional finishers were Todd Michaud of Sabattus (3:04:18), Justin Melanson of Turner (3:38:35), Todd Kahan of Lewiston (3:53:16), Deanne Muich Michaud of Auburn (4:42:09) and Chris Irish of Norway (4:17:03).